The Challenge Butter Culinary Stage will showcase daily culinary demos and sampling from popular blogger Quiana “Que” Broden, local favorite Chef Paul Penney, MasterChef Jr. competitor Kamryn Chasnis and MasterChef competitor Yachecia Holston. Swing by as these great chefs share their favorite recipes. Don’t forget to stop by the Challenge Butter area for your chance to win free butter, a squishy cow and other prizes! pushed forward her mission to teach people how to EAT TO LIVE, by introducing more plant based meals into everyday living. Mixing Australian wit and charm with an entrepreneurial flair, Chef Paul Penney has become a prominent fixture in Michigan’s culinary circles. 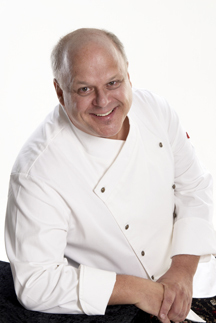 After serving many years as the President of a high tech company, Chef Paul swapped out his tie for a toque in 2001 to launch Aussie in the Kitchen personal chef service. He has appeared on many TV segments throughout the US and is currently a regular on the Fox 2 Detroit morning show with Deena Centofanti demonstrating healthy alternative recipes. Born in Adelaide, South Australia, Chef Paul’s formal training includes the famed Le Cordon Bleu in Ottawa, Canada, the U.S. Personal Chef Institute in Phoenix, AZ, and many other culinary classes and workshops around the country and abroad. Chef Paul lives in Canton, Michigan with his wife Sandy and daughter Emma. Kamryn Chasnis is a teen chef, baker, and blogger in the Great Lakes Bay Region. 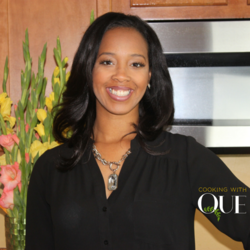 She specializes in baked goods, teaching demos and classes, writing and testing recipes. She has created her own business, Kamryn's Creations, in which she gives 50% of her profits back to local charities. 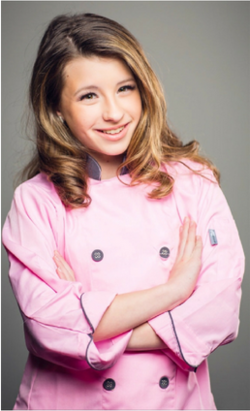 Kamryn competed on Masterchef Jr last year and has helped prepare a 4 course meal with Iron Chef judge Mario Rizzotti. She'll be gracing the television screen again soon for a Food Network baking show currently under production. Sakhi’s Cuisine & Catering will return to the International Women’s Show to share their love for food. Sakhi means girlfriend. Sakhi’s Cuisine & Catering is named after the relationship between Neha Patel and her best friend Priyanka Ghelani. Neha had a dream to do something with her cooking skill, and her dream came true when she Priyanka. They started the Sakhi’s Cuisine and Catering in August 2017. The pair are excited to serve and share their best recipes made from finest ingredients. Their menu is based on Indian cuisine and pure vegetarian recipes. Their menu has dishes which are tasteful, delectable and still healthy, wholesome. Their goal is to present the best and healthiest version of Indian food to the world. They want to introduce the fusion of authentic recipes and new flavor to everyone. Sakhi’s Cuisine & Catering will share their recipes with you on Thursday at 3:30pm & Sunday at 12:30pm.